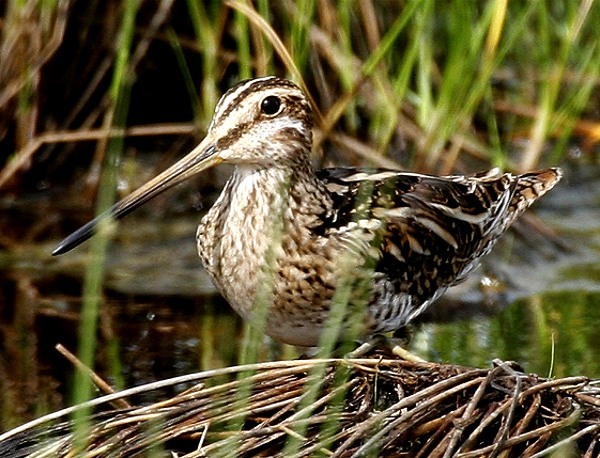 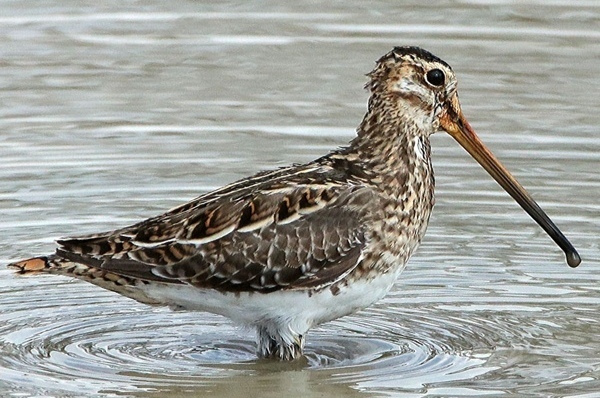 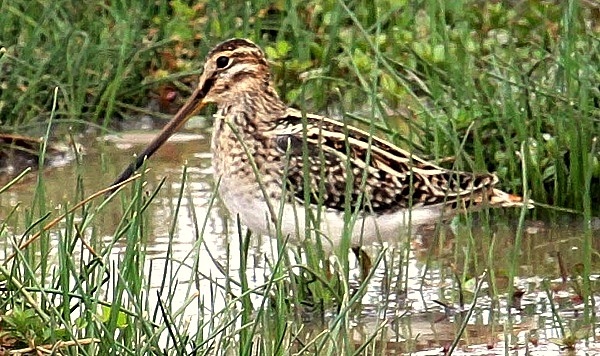 The African snipe is larger, darker and has a longer bill than the common snipe. 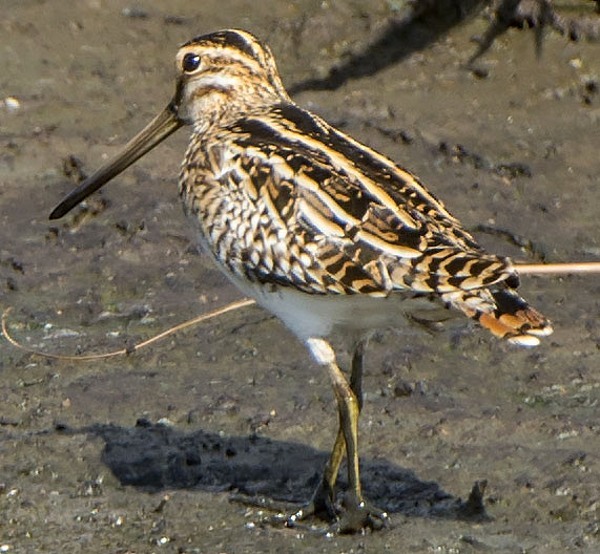 The top photo was taken in the Big Marsh at Ndutu, courtesy of Paul Oliver; the next two photos, in the central Serengeti, courtesy of Daniel Rosengren. 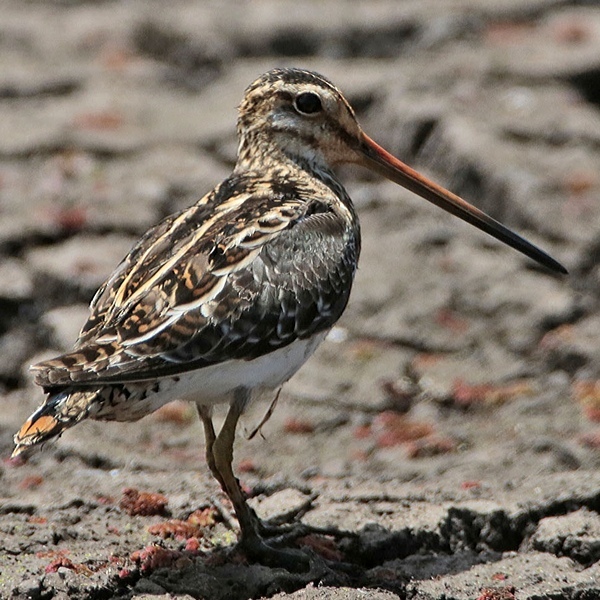 The bottom three photos, at Sweetwater GR (Kenya), courtesy of Karine Van der Vurst. 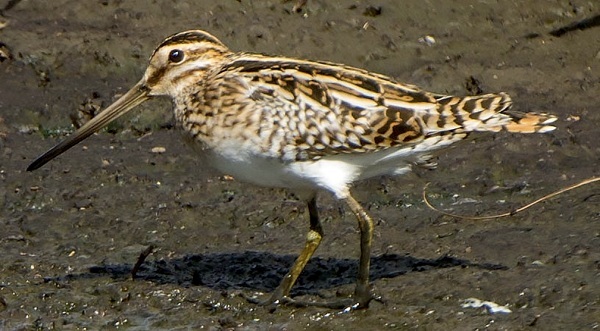 Note also the white belly without markings.